This site was developed by Dr. Debra Kissen, Ph.D., MHSA. Dr. Kissen is a licensed clinical psychologist, residing in Chicago, IL. Dr. Kissen works with children, adolescents and adults with a focus on anxiety and stress-related disorders, including obsessive-compulsive disorder, post traumatic stress disorder (PTSD), panic disorder, agoraphobia, social anxiety disorder, generalized anxiety disorder, specific phobias, separation anxiety disorder, compulsive skin picking, and trichotillomania. Dr. Kissen applies the principles of evidence based treatments while at the same time treating the whole person, with deep respect for the human spirit and the challenges we all face on our journey through life. Dr. Kissen has a special interest in the principles of mindfulness and their application for anxiety disorders. 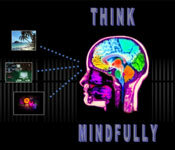 Mindfulness based treatment for anxiety entails noting that which is uncomfortable, and then allowing these thoughts and sensations to pass, without clinging to them or attempting to eliminate them. Mindfulness can be contrasted to our normal reactions to that which is uncomfortable, where we try to eliminate or run from frightening material. Dr. Kissen works with clients to learn to mindfully observe all thoughts and sensations, whether they are labeled as “good” or “bad”. Dr. Kissen has presented her research on mindfulness-based treatments at regional and national conferences. Feel free to reach out to Debra via email at DrDebra@LightOnAnxiety.com.